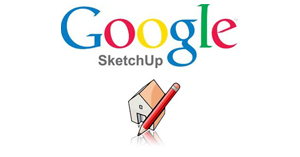 SketchUp Artists has a collection of post production tutorials with varying aesthetics and styles. 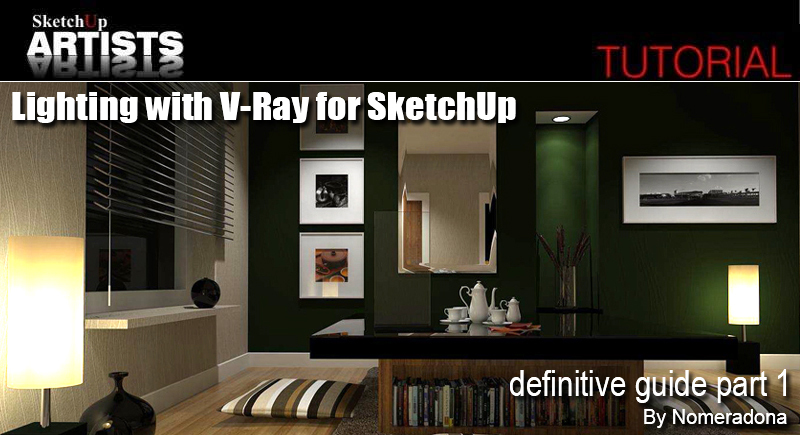 The University does not have Vray for Sketchup plugin (which a lot of tutorials are based on) but you are able to obtain it on your own means, but there are also a number of tutorials in the site which does not require a render engine. 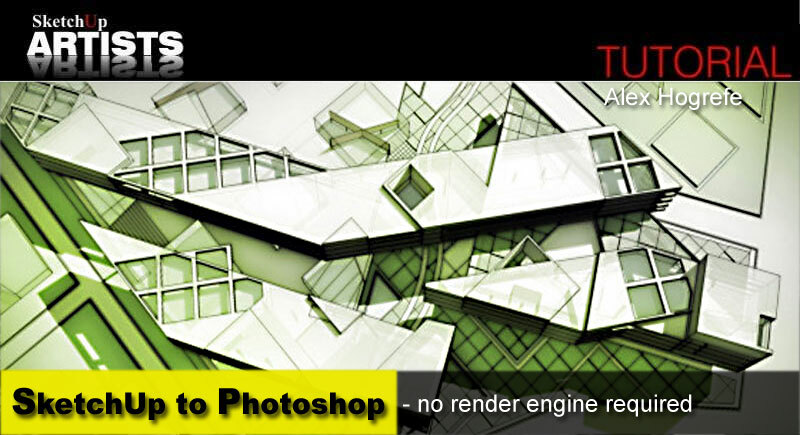 Click on the link above to visit the site or click on the images for the tutorials. 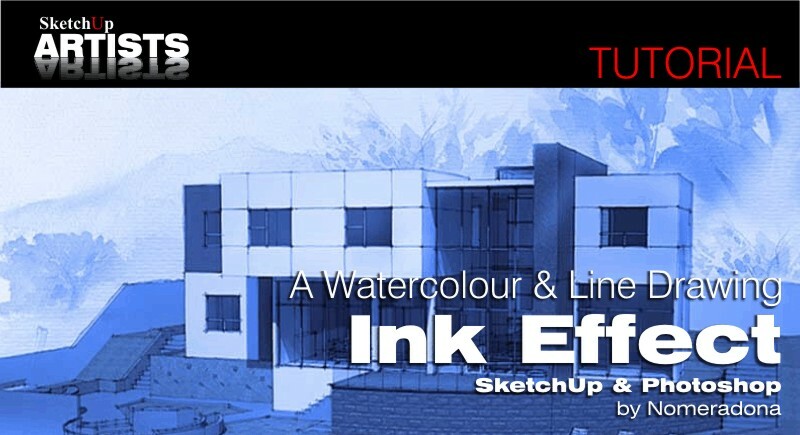 This tutorial is not about rendering but how to compose a watercolor and ink effect using a few simple steps. 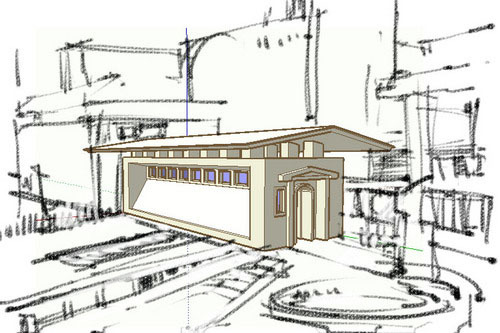 I am using a rendered image in order to add depth, particularly on some main areas. I use a couple of styles and V-Ray for a render image in some of the steps. 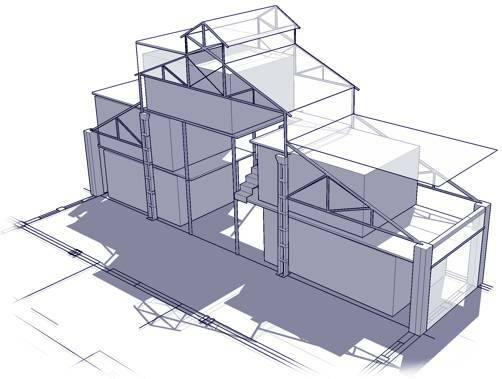 This tutorial has stemmed out of the need to produce attractive “hand made” images which are to be used when discussing architectural projects with clients and planning authorities alike. 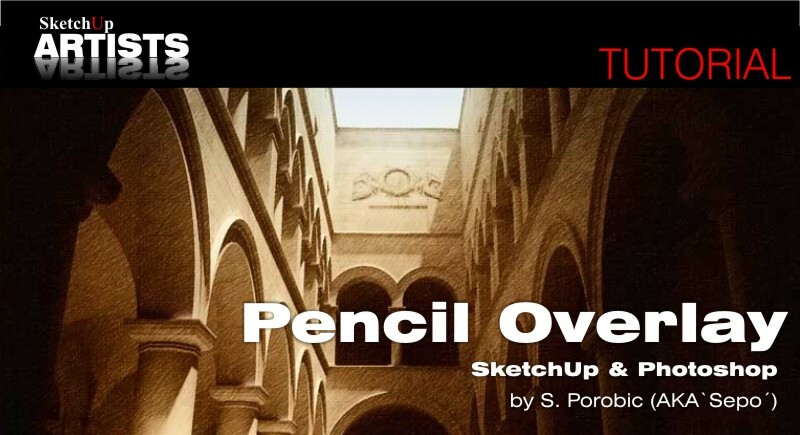 As the title implies, this architecture illustration tutorial does not use a rendering engine. Alex has done a few other tutorials in the past that do not involve rendering programs, however this tutorial does things a little differently, and in less time. 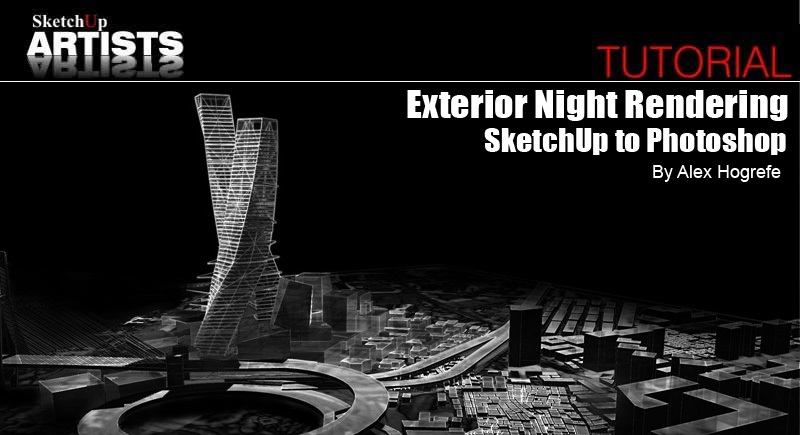 In this tutorial Nomeradona shows you how, with the basics, to create a realistic lampshade material and how to position the rectangular lights to achieve the right effect for your shade, using up to date releases of V-Ray for SketchUp. Its a must for those struggling with lighting and those who want to know how the experts do it. There will be more to come in this mini series of lighting tutorials. 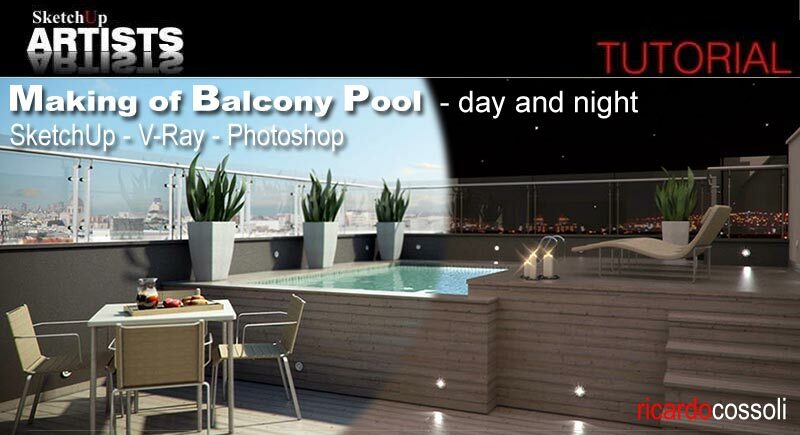 This tutorial is based on an outdoor day render (natural lighting) and a night time render (artificial lighting). The challenge I set myself was to assemble both different lighting scenes in the same model and configure all materials so they respond well in both cases (both day and night). I hope I’ve succeeded.